"Spouses Bond and Rowe make their middle-grade debut in this series starter. The light mystery will charm readers with its secret magical society, unusual characters, caring father-son relationship, and enchanted hotel setting. Monstrous fun!" 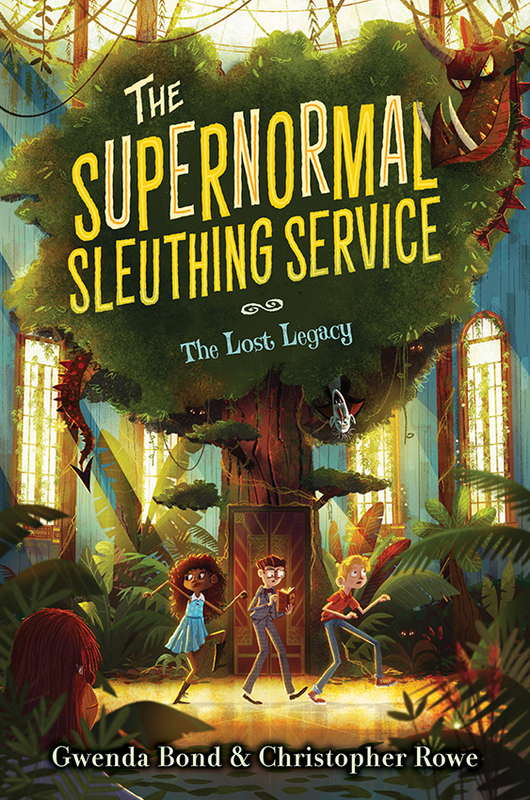 "First in a new series, this is a fun, character-driven supernatural mystery. The authors artfully meld the supernatural with the modern. Black-and-white, cartoon-style line drawings by Thomas establish just the right mood for the quirky setting and characterization. The story is fast-paced and full of action, with eccentric characters and a rewarding resolution."